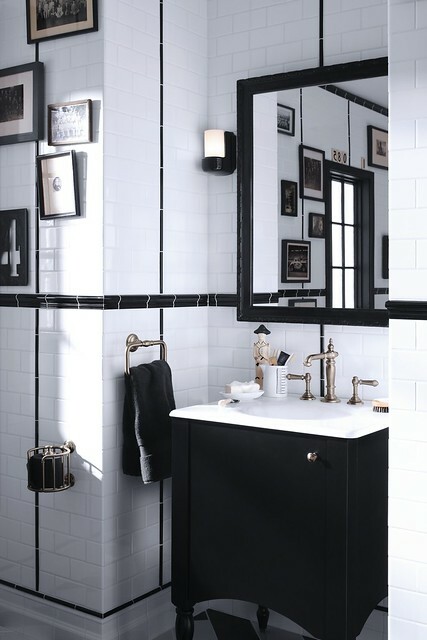 Inspired by turn-of-the-century charm and backed by the Kohler Company’s 140 years of quality craftsmanship, the KOHLER Artifacts bathroom faucet collection brings a new level of personalization to the bath. Artifacts invites the homeowner to confidently select details that reflect a taste and style that is theirs alone by choosing from three spouts and three handles—all available in five finishes. And just as classic design sees a resurgence in kitchen and bath trends, the introduction of the Artifacts collection couldn’t be more timely. Its Edwardian roots play well in traditional and transitional baths—even in modern spaces, where its timeless form offers an historic juxtaposition for a more eclectic aesthetic. Fifteen accessories, including a tumbler, soap dispenser and a toilet paper carriage make it easy to create a complete, cohesive look. Artifacts’ design may embody all that is old world, but its digital experience is anything but. 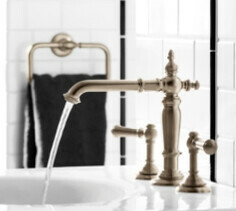 On kohler.com, homeowners and members of the trade can explore the collection’s design possibilities with a configurator tool that allows users to get a realistic visualization of how the different spouts, handles and finishes interplay from the comfort of their own home, whether its on a laptop, tablet or mobile device. Faucet designs can then be shared through social media outlets such as Facebook, Twitter, Google+ and Pinterest. 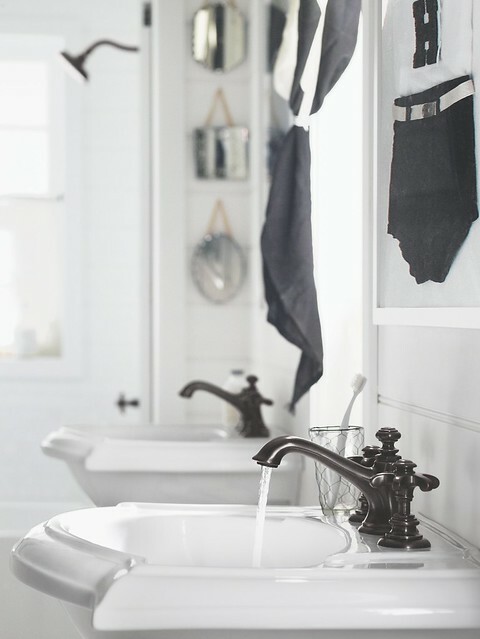 Kohler Faucets is a global organization and part of the Kohler Co. Kitchen & Bath Group. With plants in North America, China, Egypt, the United Kingdom and France, it is a leading manufacturer of kitchen and bath faucets, showering products and decorative accessories – marketed globally under the brand names KOHLER, Mira, Jacob Delafon and Rada.